Born in Russia in 1906, the future Abbot and Rector of Holy Trinity Monastery and Seminary, left his revolution-torn homeland for Bulgaria in 1920. There he completed his studies and departed for Czechoslovakia, where he was tonsured a monk in 1931 and given the name Averky. The next year he was ordained a priest and, during the pre-war years became editor of a religious publication, abbot, diocesan administrator and missionary. The end of World War lI found him with the Synod of Bishops Outside Russia in Munich, Germany, where he headed a Missionary Educational Committee. Coming to America in 1951, Archbishop Averky taught at Holy Trinity Seminary in Jardanville, NY, and also organized a youth organization. The following two years he was appointed rector of the seminary and Bishop of the Syracuse-Holy Trinity Diocese. In 1960 he became Abbot of Holy Trinity Monastery and, the next year, Archbishop. Archbishop Averky had the gift of being able to explain basic Orthodox Christianity in a specially clear and effective way. He could quickly penetrate to the heart of a question and make it understandable. An example is the theme to which he often re:turned: what is the essence or “chief thing” :in Christianity? He saw that few people any longer have a concept of the purpose of Christ’s Church, and even among Orthodox Christians there has begun to be a tragic lack of awareness. Archbishop Averky was able to explain to those who would listen that true Christianity consists first in bearing the cross. This means not only patient long-suffering with regard to one’s daily trails, but also “self crucifixion, consisting of ceaseless ‘unseen warfare’. Stand fast in the truth. Are the Terms “Christian” and “Orthodox” Accurate in our Times? Until recently, the concepts and terms “Christian” and “Orthodox” were unambiguous and meaningful. Now, however, we are living through times so terrible, so filled with falsehood and deception, that such concepts and terms no longer convey what is significant when used without further clarification. They do not reflect the essence of things, but have become little more than deceptive labels. Many societies and organizations now call themselves “Christian,” although there is nothing Christian in them, insofar as they reject the principal dogma of Christianity—the divinity of our Lord Jesus Christ, as do several of the newest sects, to which the very spirit of true Christianity, which follows so naturally and logically from the teaching of the Gospels, is generally quite foreign. Such are all the innovators, who reject the true spirit of Orthodoxy, all those who have started down the path of mutual relations with the enemies of Orthodoxy, who propagandize for common prayer and even liturgical communion with those who do not belong to the Holy Orthodox Church. Such are the “renovationists”  and contemporary “neo-renovationists,” the “neo-Orthodox” (as some of them openly style themselves! ), who are clamoring about how essential it is to “renew the Orthodox Church,” about some sort of “reforms in Orthodoxy,” which allegedly has become “set in its ways” and “moribund.” They harp on such things instead of focusing their prayerful attention on the truly essential renewal of their own souls and the fundamental reform of their own sinful nature with its passions and desires. Such, too, are those many others who are not completely faithful to our Lord and Saviour and His Holy Church, but serve His vicious enemies or please them in one way or another by helping them to realize their anti-Christian goals in a world which has turned away from God. This, sadly, is an age of unlimited concessions and sly collaboration, when even the most scandalous heretical actions or statements disturb hardly anyone. Very few react to this manifest apostasy from Orthodoxy as they should, and as for condemning these new heretics and apostates—there is no point in even thinking about it. Today everything is permitted for everyone and nothing is prohibited for anyone, except in cases where someone is personally hurt, offended and insulted when their own folly is pointed out. Oh, in such cases, this is unforgivable! Then threats make their appearance, based on those forgotten canons, which otherwise are “obsolete, outdated and unacceptable” in our advanced, progressive age! Only individuals whose consciences are burned out or completely lost can do so! That is why it is more than strange to hear some, imagining themselves to be Orthodox, call the Russian Church Outside of Russia, “Old Believer,” “schismatic,” “Black Hundredist,”  “retrograde,” “obscurantist,” and so on, simply because we will not walk in step with these times and dare not to apostatize in anything from Christ’s Gospel and the original teaching of the Holy Church, and therefore consider it an obligation of conscience to condemn this clear and obvious evil of contemporary life which has already penetrated into the Church. “Be ye not conformed to this world, but be ye transformed by the renewing of your mind, that ye may prove what is the good, and acceptable, and perfect will of God” (Romans 12:2). “Fear not, little flock,” He said, painting the frightening picture of the last times of apostasy from God and persecution of the Faith before our mind’s eye, “For it is your Father’s good pleasure to give you the Kingdom” (St. Luke 12:32). This is why all we have said above prompts us to re-examine the terminology that has been accepted up to the present. It is insufficient in our time to say only “Christian”—now it is necessary to qualify this by saying “true-Christian.” Similarly it is insufficient to say “Orthodox”—it is essential to emphasize that one is not referring to an innovating modernist “Orthodox,” but to a true Orthodox. In our firm stand for the true Faith and Church it is essential to avoid everything personal—pride and self-exaltation, which inevitably lead to new errors, and eventually even to a fall; we have already witnessed this in several cases. It is not ourselves we should praise, but the pure and immaculate Faith of Christ. No fanaticism is admissible here because it is capable of blinding the spiritual eyes of such who are “zealous not according to knowledge.” Rather than confirming one in the Faith, this blind fanaticism can sometimes lead one away from it. It is important to know and to remember that a true Orthodox Christian is not someone who just accepts the dogmas of Orthodoxy formally, but a person who, as our great Russian hierarch St. Tikhon of Zadonsk taught so beautifully, thinks in an Orthodox way, feels in an Orthodox way, and lives in an Orthodox way, incarnating the spirit of Orthodoxy in his life. This spirit-ascetic and world-renouncing, as is clearly set forth in the Word of God and the teachings of the Holy Fathers—is most sharply and boldly denied by the modernists, the “neo-Orthodox,” who want in everything to keep in step with the spirit of this world lying in evil, whose prince, in the words of the Lord Himself, is none other than the devil (St. John 12:31). Thus it is not God Whom they desire to please, but the “prince of this world,” the devil; and thereby they cease to be true Orthodox Christians, even if they call themselves such. Metropolitan Anthony was born Alexei Pavlovich Khrapovitsky on March 17, 1863, in Vatagino village of Kresteski district of Novgorod province, Russia. His parents were members of the Russian nobility. He was educated at St Petersburg, Russia, where he finished the 5th Classical Gymnasia with a gold medal. He owes the beginnings of his religious education to his mother and the influence of Fyodor Dostoevsky, the reading of Church Fathers and the Lives of Saints as well as interest in the ideas of the slavophile movement. In his young years, he was interested by the work of V. S. Solovyev, whom he later criticized for pro-Roman Catholic leanings. A final important influence was meeting St Nicholas, the enlightener of Japan. In 1881, despite the opposition of his father, Alexei enrolled in the St Petersburg Theological Academy, where he became friends with M. M. Gribanovsky, the future Bishop of Tauria, who was the first of the academy students to become a monastic after a 20-year hiatus in tonsurings. This friendship strengthened Alexei’s desire to serve the Church as a learned monk. In his third year, he worked on his master’s dissertation “Psychological data in favour of free will and moral responsibility” with the oversight of A. Ye. Svetilin. In 1888, as a result of reworking his dissertation, Hieromonk Anthony was awarded the degree of Master of Theology. In 1888 and 1889, he taught a course on introduction to theological sciences. At around the same time, he became friends with St John of Kronstadt. In 1890, he was appointed as rector of the St Petersburg Theological Academy and raised to the rank of archimandrite. In 1891, he was appointed rector of the Moscow Theological Academy. This time marked his blossoming as a theologian, with the publication of his work “The moral idea of the dogma of the Holy Trinity” (report at the festivities marking the 500th anniversary of the repose of St Sergius of Radonezh). In 1893-1894, Archimandrite Anthony became friends with Archimandrite Sergius (Stragorodsky), the future Patriarch of Moscow and all Russia. Archimandrite Anthony persuaded Archimandrite Sergius to publish his master’s dissertation, “The Orthodox Teaching on Salvation.” He also met L. N. Tolstoy, whom he frequently attempted to bring back into the Church by critiquing his religious and philosophical ideas. His position on supporting monastic tonsure for academy graduates put Archimandrite Anthony into conflict with Metropolitan Sergius (Lyapidevsky) of Moscow. The conflict resulted in Archimandrite Anthony’s transfer to the post of rector of the Kazan Theological Academy in 1895. On September 7, 1897, Archimandrite Anthony was consecrated Bishop of Cheboksary, vicar of the Kazan diocese (since March 1, 1899, Bishop of Chistopol’, first vicar of the Kazan diocese). On July 14, 1900, he was transferred to Ufa and became Bishop of Ufa and Menzelinsk. Because many residents of the Ufa province were Muslim, Bishop Anthony worked on missionary efforts in his diocese. On April 22, 1902, Bishop Anthony was appointed to the Volyn and Zhytomyr cathedra, the largest diocese of the Russian Church at that time. The new energetic bishop worked to restore canonical order in the diocese, ending simony and bribery, promoting liturgical order and love toward the flock. In 1907, Bishop Anthony headed a committee examining the Kiev Theological Academy. The committee’s findings were unpopular with academy staff, leading to Bishop Anthony’s publication of “The Truth about the Kiev Theological Academy” and the resignation of its rector, Bishop Platon (Rozhdestvesky), the future head of the American Metropolia. Many believe that this incident led to the subsequent antagonism among the emigré bishops, which resulted in the split between the Russian Orthodox Church Outside Russia (ROCOR) and the Orthodox Church in America (OCA). 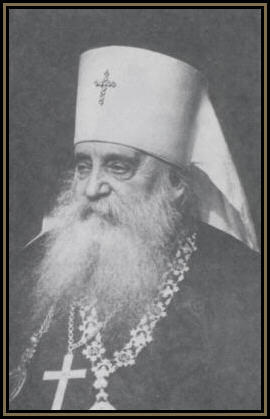 In 1906-1907, Bishop Anthony was member of the State Council and in 1912-1916 of the Holy Synod. He worked on the preparation for a Local Council of the Russian Church; he responded to the 1905 questionnaire of Russian bishops by calling for the restoration of the patriarchy and the reform of theological education and other reforms in Church administration. By the ukase of the Synod on May 19, 1914, Bishop Anthony was appointed to the Kharkiv and Aktyr cathedra. After the February 1917 Revolution, he was forced to ask for retirement because of poor relations with the new authorities in his area and the discontent of certain members of his clergy. On May 1, 1917, he was retired and assigned to the Valaam Monastery, where he wrote his book “The Doctrine of Redemption,” which later caused many arguments among Orthodox theologians. In August of 1917 he was again elected Archbishop of Kharkiv and Akhtyr by the Diocesan council of Kharkiv. In 1917-1918, he was a member of the Local Council of the Russian Church, where he was a staunch supporter of restoring the patriarchy. His candidacy received the largest number of votes—159—but on November 5, 1918, Patriarch St. Tikhon of Moscow was elected by lot. On November 28, Archbishop Anthony was raised to the rank of metropolitan and on December 7 elected a member of the Holy Synod headed by Patriarch Tikhon. In January 1918, Metropolitan Anthony was present at the All-Ukrainian Church Council in Kiev. He then fled the city before the Bolshevik invasion. Following the killing of New Hieromartyr St. Vladimir (Bogoyavlesky) of Kiev, Metropolitan Anthony was elected to the Kiev cathedra, and returned when the city was occupied by the Germans. However, his election was not approved by the authorities because of his opposition to Ukrainian autocephaly. In December 1918, together with Archbishop Eulogius of Volyn, he was arrested by the Symon Petliura government. The two hierarchs were held at the Uniate monastery in Buchacha. In the spring of 1919, when Buchacha was taken by Polish forces, they were transferred to the vicinity of Krakow. In the summer of 1919 they were freed through the work of the French diplomatic mission. Metropolitan Anthony lived in L’viv. In September 1919, he left for Kuban, then returned to Kiev, which was held by White forces of General Denikin. After Kiev was retaken by Bolsheviks in November, he left for Yekaterinodar, where he was elected as president of the Temporary Higher Church Authority of South-East Russia. After the defeat of the Denikin army, he left for Greece, where he received the support of Archbishop Meletius (Metaxakis) of Athens. In September 1920, he returned to Crimea, which was controlled by General Wrangel. After the latter’s defeat in November, he left Russia for the last time. 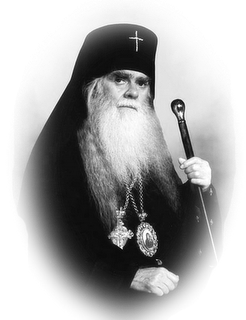 Between November 1920 and February 1921, Metropolitan Anthony was in Constantinople. At first he decided that the Temporary Authority should be abolished and pastoral care for displaced Russians handed over to other local churches. However, after learning of the decision of General Wrangel to retain his army for further battle with the Bolsheviks, Metropolitan Anthony decided to keep the Church organization abroad. The Temporary Authority met on November 19, 1920, aboard the ship “Great Prince Alexader Mikhailovich,” presided over by Metropolitan Anthony. He and Bishop Benjamin (Fedchenkov) were appointed to examine the canonicity of the organization. On December 2, 1920, they received permission from Metropolitan Dorotheos of Prussia, Locum Tenens of the Ecumenical Patriarchate, to establish “for the purpose of the service of the population … and to oversee the ecclesiastic life of Russian colonies in Orthodox countries a temporary committee (epitropia) under the authority of the Ecumenical Patriarchate”; the committee was called the Temporary Higher Church Administration Abroad (THCAA). In February 1921, at the invitation of Patriarch Dimitry of Serbia, the THCAA relocated to Serbia, where, on August 31, 1921, the Council of Bishops of the Serbian Orthodox Church decided to take the organization under its protection as an independent jurisdiction for displaced Russians. With the agreement of Patriarch Dimitry, the “General assembly of representatives of the Russian Church abroad” took place between November 21 and December 2, 1921, in Sremsky Karlovtsi, Serbia. It was later renamed the First All-Diaspora Council and was presided over by Metropolitan Anthony. The Council established the “Supreme Ecclesiastic Administration Abroad” (SEAA), composed of a patriarchal Locum Tenens, a Synod of Bishops, and a Church Council. The Council decided to appoint Metropolitan Anthony the Locum Tenens, but he declined to accept the position without permission from Moscow and instead called himself the President of the SEAA. However, an Ukase of Patriarch St. Tikhon of Moscow, dated May 5, 1922, abolished the SEAA and declared the political decisions of the Karlovtsy Council as not reflecting the postion of the Russian Church. Meeting in Sremsky Karlovtsy on September 2, 1922, the Council of Bishops agreed to abolish the SEAA, in its place forming the Temporary Holy Synod of Bishops of the Russian Orthodox Church Outside Russia with Metropolitan Anthony as its head by virtue of seniority. The Synod exercised direct authority over Russian parishes in the Balkans, the Middle East, and the Far East. In North America, however, a conflict erupted with those who did not recognize the authority of the Synod, led by Metropolitan Platon (Rozhdestvensky); this group formed the American Metropolia, the predecessor to the OCA. Likewise, in Western Europe, Metropolitan Eulogius (Georgievsky) also did not recognize anything more than “a moral authority” of the Synod. Metropolitan Eulogius later broke off and joined the Ecumenical Patriarchate, forming the Patriarchal Exarchate for Orthodox Parishes of Russian Tradition in Western Europe, known colloquially as the Rue Daru. In 1925, at the invitation of Randell Davidson, Archbishop of Canterbury, Metropolitan Anthony participated in festivities in London marking the 1600th anniversary of the First Ecumenical Council. In October of 1925, at the invitation of Romanian hierarchs, he participated in the enthronement of Patriarch Miron (Cristea) of Romania. Metropolitan Anthony presided over another meeting of the Council of Bishops of ROCOR in June 1926. The bishops decided to accept Metropolitan Peter (Polyansky) of Krutitsa as the lawful Locum Tenens following the repose of St. Tikhon. The Council once again called for Metropolitans Platon and Eulogius to accept its jurisdiction. On September 9, 1927, the Council of Bishops of the ROCOR, presided over by Metropolitan Anthony, decreed a break of communion with ecclesiastic authorities in Moscow after categorically rejecting a demand by Metropolitan Sergius (Stragorodsky) of Nizhny Novgorod, who was acting as Locum Tenens, to declare loyalty to the Soviet authorities. Metropolitan Sergius responded in 1928 by decreeing that Metropolitan Eulogius had canonical authority in Western Europe and that all actions of the Karlovtsy Synod were uncanonical. Then, on June 22, 1934, Metropolitan Sergius and his Synod passed judgment on Metropolitan Anthony and his Synod, declaring them to be under suspension. Metropolitan Anthony refused to recognize this decision, claiming that it was made under political pressure from Soviet authorities and that Metropolitan Sergius had illegally usurped the position of Locum Tenens. In this, he received the support of the Patriarch Varnava of Serbia, who continued to maintain communion with the ROCOR Synod. During the course of his time abroad, Metropolitan Anthony continued to retain the title of Metropolitan of Kiev and Galicia, an action recognized by Metropolitan Peter (Polyansky) of Krutitsa, who refused pressure from Soviet authorities to fill the vacant Kiev cathedra. In March 1931, the Synod of Bishops awarded him the title of “Beatitude.” In August 1932, Metropolitan Anthony proposed the election of a deputy president. The Bishops elected Archbishop Anastasy (Gribanovsky) of Kishinev, who was elevated to the rank of metropolitan in 1935. In 1935, the Council of Bishops of ROCOR, under the leadership of Metropolitan Anthony, condemned as heretical the teaching of Archpriest Sergius Bulgakov about Sophia, the Wisdom of God. This furthered the antagonism between ROCOR and the Western European Exarchate, where Father Sergius worked at the St. Sergius Orthodox Theological Institute (Paris, France). Metropolitan Anthony reposed on August 10, 1936, in Sremsky Karlovtsi, Serbia, and was buried in Belgrade at the Iveron Chapel in the Russian cemetery. Patriarch Varnava officiated at the Divine Liturgy, Panikhida and burial services. We must think that during that night at Gethsemane, the thoughts and feelings of the Godman encompassed all fallen men in their many billions, and wept with loving grief for all of them individually, which, of course, was only possible to the Divine, all-knowing heart. This was our atonement … We are sure that the terrible sufferings of the Saviour at Gethsemane took place while beholding the sinful life and sinful nature of all human generations and that the words of the Lord “Let this cup pass from me” are not pointed to his upcoming Crucifixion and death, but to this, completely depressing to Him, feeling of profound grief for the sinful human race so beloved by Him. Thus Metropolitan Anthony considered not Golgotha, but the sufferings in Gethsemane, as central to the Savior’s feat of redemption. The bodily sufferings and death on the Cross were necessary so that the faithful would acknowledge the degree of His suffering. This view received criticism from some theologians, including John Meyendorff and Georges Florovsky, with some going as far as to accuse Metropolitan Anthony of Pelagianism. Metropolitan Anthony wrote these views in prison, and when they were criticized, he withdrew them. It is important to note that Metropolitan Anthony did not pioneer this theological view: it appeared in Russian theology in the 19th century as an attempt to counteract Anselmian atonement. Later theologians claimed that Metropolitan Anthony’s views were completely Orthodox, but that the way in which he expressed them led some to misinterpret his teaching.